Dr. Shivani is a Faculty of Bharati College, Department of English and author of Ecocritical Readings: Rethinking Nature and Environment. She has specialized in the field of Ecocriticism. 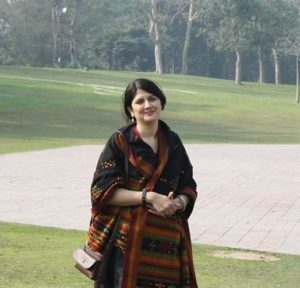 She has presented papers in several national and international seminars,Trinity College, Dublin, University of Warwick, Jahangir University, Dhaka and American Comparative Literature Association’s Conference 2012 held at Brown University, Providence,USA, being some of them. She has published many papers and developed lessons for the Virtual Learning Environment, Institute of Life Long Learning, University of Delhi. Her recent publication includes an edited volume Ecocriticism and Environmental Praxis.